Ben Affleck may not live in Boston anymore, but he clearly hasn’t forgotten his roots. "During a scene set at a New York airport, Mr. Affleck’s character, Nick Dunne, tries to evade recognition by donning a baseball hat. Mr. Fincher, Mr. Affleck said, wanted the character to wear a Yankees cap, because he believed that worked best for the movie. But Mr. Affleck, a diehard Red Sox fan, would have none of it. While Mr. Fincher stood firm – “he said it was like it’s foregone, it’s destiny” – Mr. Affleck did too. Finally, after what Mr. Affleck described as “a lot of shuttle diplomacy, so much back-and-forth,” they compromised: Mr. Affleck wore a Mets hat." The problem, of course, is that the Sox don’t have a very good history with the Mets, either. Bill Buckner, anyone? 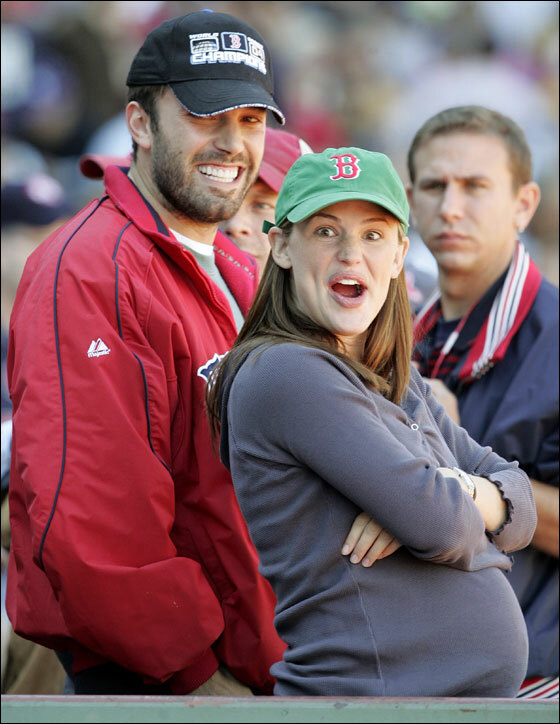 Anything is better than the Yankees though, so this will likely earn Affleck some points back home. Ben Affleck Is Front and Center in a New Pic from "Batman v. Superman"